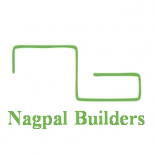 Nagpal Builders (India) Pvt. Ltd. | Nagpal Builders (India) Pvt Ltd. Author Archives: Nagpal Builders (India) Pvt. Ltd.